This photograph was made at one of my favorite wedding reception venues anywhere: The Royalton Mansion at Roslyn Country Club on Long Island, New York. There is not a negative word that can be said about this establishment. The food at this venue is the best anywhere. The wait staff is the most professional group of servers I have seen at any catering establishment. The mansion and it’s surrounding grounds are breathtaking and because they only cater to one special couple per day you have free run of the entire property. There is a spacious bridal suite where the bride and her bridesmaids can get ready for the big day. There is also a separate groom’s room and a third multi-purpose private lounge for you, your friends, your wedding party and your family members. This photograph was taken right outside the front entry way to the mansion. A clean paver stone surface, which is easy for you and your bridesmaids to walk on in high heels, is bordered by beautiful annual and perennial flowers. 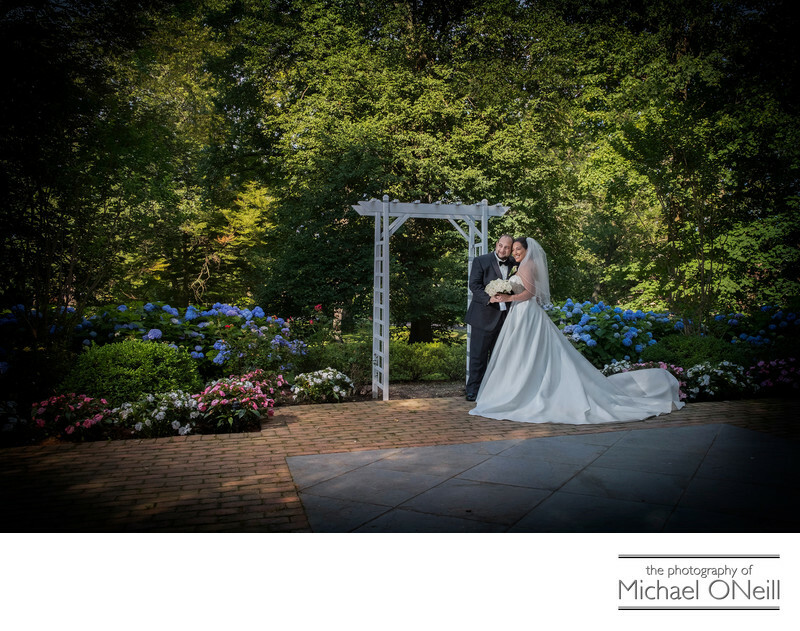 If you are planning a wedding on Long Island LI you owe it to yourself to put the Royalton Mansion at Roslyn Country Club on your short list of must see venues to consider. Take it from some one who has been visiting 50 different venues for more than 30 years. This is one of the best anywhere.